Have you ever dreamed of flying an actual plane? 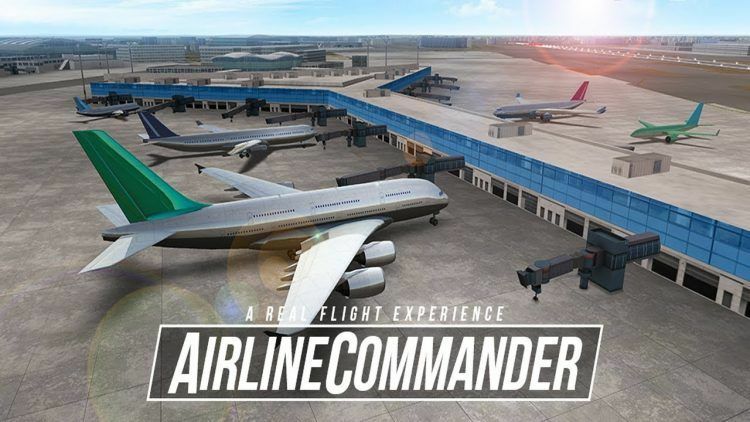 Well, Airline Commander – A real flight experience is a flight simulation game that offers the closest experience you can get to being a pilot. Airline Commander will turn your IOS or Android device into a virtual cockpit. You can also play Airline Commander for PC and fly different planes from the comfort of your home. The gameplay is quite simple even for beginners. All you have to do is control the flight path, retract/lower the landing gear, monitor altitude & speed, and increase engine power with the throttle control. The best part is you will be landing planes and taking off from hundreds of realistic runways and airports with simulated air traffic. One of the great things about playing Airline Commander – A real flight experience is that you can build a fleet of airliners as the game progresses. This costs in-game currency, which you earn after completing various tasks. There are different airplanes to unlock. Options range from turbine and reaction to single and double deck aircraft models. All of these planes perform differently in various flying conditions. To start playing, however, there are a number of flying licenses you have to acquire first. This involves taking exams that test you on different maneuvers like landing, taking off, or taxiing. Learning the basic skills is easy thanks to screen tips from the in-game instructor on the top left corner of your screen. After obtaining your licenses, you can start to fly various routes across the globe. The in-game map displays contracts, which you can activate to open a flying route and complete an activity associated with it. During a flight, you have the option to fly in normal or simulation mode. The latter flying mode delivers a more realistic flying experience. Since simulation mode is a bit more challenging, it has a higher reward. Having said that, you may want to start with the easier normal flight mode for a while to get the gist of playing Airline Commander for PC. Upon successfully flying various routes, you can claim various rewards like in-game money, ACC credits, and flight points. Every plane must be moving at certain knots to touch down safely. Keep an eye on the altitude and speed indicators on the bottom right corner of your screen when landing. Use the +/- arrow indicators as a reference guide to adjust your altitude and speed for a soft landing. Airline Commander vets your performance on aspects such as flight path, passenger comfort as well as takeoff and touchdown softness. You have to perform well on these parameters in order to earn the full amount of flight credits. So, make sure to focus on excellent performance when flying each route. Flight contracts remain active for a limited period. You can check the expiry time on the screen after buying a new contract. It is important to complete the contract as quickly as possible. Missing the deadline means you will have to spend flight points again to unlock the route. Go to the search box in Bluestacks and type “Airline Commander” without the quotes, of course. That is it! You can now enjoy your freshly installed copy of “Airline Commander” on your favorite PC!